In the isolated village of Unguja, Zanzibar, Kilindi Nungwi Primary School is typical of many schools in the archipelago. Many pupils come from poor families of subsistence farmers, and the school lacks teaching and learning materials. Parents are required to contribute money to support the running of the school and provide basic materials such as pencils and exercise books. The school has no space or funds for a library of its own, and the only books they have are those provided by the government that relate directly to the curriculum. Even these though are scarce or out of date, and students often have to share textbooks with 10 or more of their peers. Other than a copy of the Qu’ran, most have no books at home. 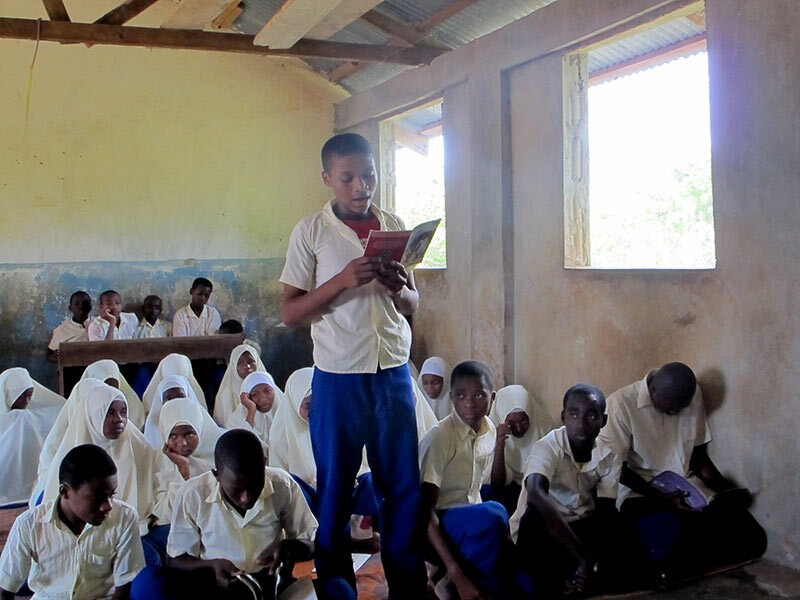 Although supplementary reading materials are available in the main public library in Stonetown, it is over an hour and a half away by car, and it is rare for teachers or pupils to travel this far to use its books.